How do you know if your recruitment consultant is any good? Home » Insights and News » How do you know if your recruitment consultant is any good? 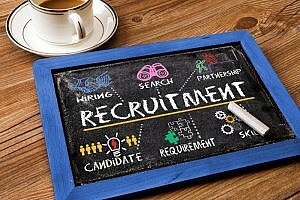 There are many different reasons why employers might decide to use an external recruitment consultant. They may also wish to engage with them in many different ways – from simply a source of CVs to a full advisory role. However a good recruitment consultant will both provide a good service but also earn their fee by adding value and expertise. For a retained search of course you expect to get a Rolls Royce service and a whole lot more attention and greater certainty of a successful outcome! Clearly sometimes this can’t happen for a good reason but if the recruiter isn’t responsive you need to wonder whether you are getting a good service. But you also need to to ask yourself: is it them or is it me? If I seem to be low down on my suppliers’ priority list why might that be? In my experience it takes at least an hour, and often a lot longer, to thoroughly get under the skin of an employer and the role they are seeking to fill. If the recruiter gives you 10 minutes and ask to see some jobs specs (or alternatively you give them 10 minutes!) how can they possibly understand what you’re looking for and how to sell your company to candidates? This is of course ideally face-to-face but don’t expect them to get too excited at the thought of half a day out of the office just to be one of half a dozen agencies you are briefing on a contingency basis. You should feel they are really delving into the role and not afraid to ask challenging questions. If there are aspects of the company, salary, job or the candidate spec that are a concern they should tactfully tell you. No, a recruitment consultant shouldn’t call you every day to chase a CV BUT part of their value is to help ensure an efficient and swift process and that good candidates don’t go elsewhere. To your competitors for example. And therefore readily understand your company, the brief, what a good candidate looks like and where to find them. They will also be able to give you advice and pointers too. Market knowledge will also help them be credible with candidates on your behalf. They won’t be likely to admit any weakness in their market knowledge so if they are asking odd questions, or few questions, that might be a clue that they don’t really know what they’re doing: otherwise the first indication might be an email blizzard of irrelevant CVs. Reviewing their LinkedIn profile will go a long way to reassuring you, or otherwise. For executive and professional roles it is essential that a recruitment consultant, who is de facto an extension of your company and employer brand, represents you in a professional manner whether that be their spoken or written skills, their appearance or integrity. This may be obvious perhaps but often a recruiter is hired for his/her so called sales ability and that’s not always strongly correlated with administrative and organisational capability. As you might realise when the candidate doesn’t turn up for interview. Clearly emotional intelligence is vital to enable a recruiter to do a good job assessing and influencing candidates on your behalf. However don’t forget the management consultancy market is very complex and involves dealing with very very bright people which can present difficulties if your recruiter isn’t bright enough. Also many recruitment related situations require the ability to understand and weigh up complicated factors and scenarios. If the recruiter doesn’t seem “on the ball” and to comprehend the subtler aspects of what you are discussing with them then they may struggle to deliver good candidates and to manage the process effectively. A cliché of course, but what I mean here is skills that are specific and relevant to the market they are working in. Different candidate pools require very different approaches. A subset of this is “salesy”. Too much and they will alienate your target candidates: too little and they will fail to persuade great talent what a wonderful opportunity you are offering. If their emails have mistakes in, for example, how can you be sure they will get the time or address right when confirming the interview? Or get the salary and benefits right when presenting the CV to you? Or when relaying details of the job offer to the candidate. Also poor emails are unlikely to come over to candidates as “professional” (see above). A recruiter won’t always meet the candidate, unless you are paying a retainer or they have agreed to do so (in exchange for exclusivity for example). Also it’s not always practical and may deter a good, high demand or busy candidate. But if the recruitment consultant is going to really get to know the candidate’s key elements that will determine their suitability for your role a proper meeting, whether over the phone or face to face, should be at least 40 minutes and often longer, . Why not ask the recruiter what they will do to assess candidates? Unfortunately this is not always a feature of people in the recruitment industry. Of course you believe you want to be dealing with someone of integrity but how do you know? Do you inadvertently collude in poor practice? For example would you use a recruiter that sends you a CV without the candidate’s permission? Many employers do and the first an honest recruiter will know about it is when they are told that they’ve already received the CV though another agency and therefore the other agency will get any introduction fee, despite the candidate being unaware of it. If a recruiter does that what else might they be doing you are not aware of?